This E-pistle was triggered by a tasting I organised at the Wexio Whisky Society in Växjö, southern Sweden during the fall of 2006. Before I got the honor of holding this event I did not know much about the history and details of this phenomenon. Moreover, quite some Japanese bottlings competed in the Malt Maniacs Awards 2006 in which I was privileged enough to be a part of the jury. The discoveries made were interesting enough to share with a broader audience and I hope you agree! So, what’s up with the current buzz regarding Japanese malt whisky? Probably we can thank two ‘institutions’ for spreading the word in recent years. Namely the Scotch Malt Whisky Society and Whisky Magazine. The first mentioned started bottling Japanese whisky a while back and thus made a bunch of difficult to pronounce distilleries more available for the whisky afficiniados of the world. These quickly became widely known for the sometimes surprising world class quality. The latter organized a whisky competition where a Yoichi 10yo Cask Strength bottling won the “Best of the Best” category which raised more than a few eyebrows. As a side note no less than four Japanese whiskies deserved a gold medal, out of 15, in our own Malt Maniacs Awards 2006. Impressed yet? Well, I surely am. Let’s continue. The whisky industry of Japan has not one father but interestingely enough two. Who is the “true” father of Japanese whisky depends on who you ask, what web page you visit or what book you read. The histories of these two gentlemen are intricately interwined and I will try my best to sort it out for you. I begin with some background information about these two and their companies. Thereafter I’ll dwelve into a little more detail about the distilleries and end with the whiskies themselves. Enjoy. 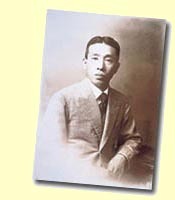 Shinjiro Torii founded the company Kotobukiya Liquor Shop in 1899. He was then only 21 years old and already known for his ambition (and nose). The company began selling imported Spanish wines but that didn’t fall out very successfully as the tastes didn’t agree with the local palate. He then decided to start producing his own port wine called Akadama Port. This proved more successful and laid the foundation for his future endeavours. In 1924 he founded the first Japanese whisky distillery Yamazaki, located between Osaka and Kyoto. He employed the help of a certain Masataka Taketsuru doing this, who we will get to know much better later on in this text. 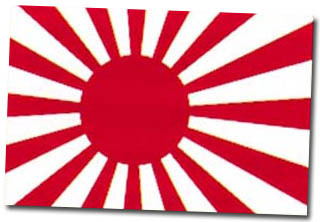 The first whisky produced at Yamazaki was called Suntory Shirofuda and began selling in 1929. Unfortunately no real hit as it probably was too smoky and harsh. Shinjori continued his experimenting with whisky recipes and aspired to produce a whisky which would go well with water, which is how the majority of Japanese drinkers prefer their whisky even today. This style got to be known as Mizu-wari which translates simply to “cut with water”. He succeeded better with this and a number of products were released during the years to come, most notably a blend called “Kakubin” and later “Old”. Today they produce 18 different variations. The company changed name to Suntory in 1963, named after the rising sun and the name of the founder, whose name translates to “The road to the temple” by the way. This is also when they turned into brewing beer seriously and in time became the number one drinks company in Japan. They also began producing the melon-flavored liquor Midori which turned into a global success. In 1973 their second distillery, Hakushu, was founded. Located by Mount Kaikomagatake in southern Japan. This distillery was extended with Suntorys third distillery, called”Hakushu Higashi” (or Hakushu East) in 1981. Apart from being proficient at making whisky, beer, wine, liquour (and a whole lot of other stuff too) they were pioneers when it came to marketing. They employed a certain Akira Kurosawa (look him up at IMDB or somewhere if you don’t recognize the name) and started making TV advertisements which was a relatively new thing back then. Some clips can be seen here: http://www.youtube.com/watch?v=xz7fQCE_icU. One of the actors was a bloke called Francis Ford Coppola (no need to look him up I hope). Guess what inspired his daughter Sofia Coppola to make her widely acclaimed movie about making TV adverts for Suntory called “Lost in Translation”? Ok, a side note, I know. Following their successes they bought Morrison Bowmore distilleries and thus run Auchentoshan, Bowmore and Glen Garioch today. The company turned wildly diversified and grew frantically in the last decades leading up to today. Now they run over 180 subsidiaries and sell in excess of 12 billion USD on a yearly basis. Big business aye. Masataka was born into a sake-producing family in 1894. They had been brewing their sake since 1733. He was interested in chemistry and was sent to Scotland in 1917 by a Settsu Shusei Seizou to study this subject further in order to later return and start distilling whisky in Japan. In 1919 he was reading organic chemistry in Glasgow and thereafter at Royal College in Strathclyde. He had, at least, two interests apart from studying. Namely working extra at various close by distilleries and teaching jiu-jitsu. While teaching a youngster this sport he met his older sister, a Jessie Roberta Cowan of Middlecroft, or more shortly simply “Rita”. In 1920 they married, something disliked by both sides of the family, and moved to Campbeltown where he got employed at Hazelburn Distillery. Their stay in Scotland did not last and they moved back to Japan the same fall. Things turned brighter in 1923 when he was employed by the aforementioned mr Torii. Together they built the Yamazaki distillery. There was some dispute about the location of the distillery as Masataka wanted it placed at Hokkaido where the geography and climate is more Scotland-like. Shinjiro, undoubtedly the business man of the two, overruled and it was placed close to their main future markets. This probably started the rivalry between the two. At the time it was common practice that you signed for a company for a number of years. Masataka had done this and stayed at the distillery as distillery manager doing his sentence which lasted no less than ten years. In 1934 he left the company and founded his own, called Dai Nippon Kaju KK. He chose the location of Yoichi at Hokkaido, the smaller island just north of the main island of Japan. The first distillery they built was called simply Yoichi. They started producing apple juice and –wine. Even today they still produce different fruit based products, such as cider, wine and brandy. The company quite quickly changed name to Nikka and their first whisky was sold in october of 1940. Nikka was taken over by the giant Asahi Breweries in the 1950’s but Taketsuru stayed running things at the company. In the beginning of the 60’s he went studying to the United States and Scotland and when he returned the decision to build another distillery was taken. The distillery of Miyagikyo was started in 1969 at Sendai in northern Japan. The company also runs the Scottish distillery of Ben Nevis I should not forget to mention. 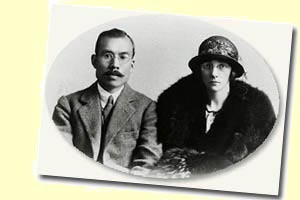 In 1961 at the age of 65 Rita died and Masataka lived until 1979 when he was 85. They are buried overlooking the distillery of Yoichi. The information here has been found on a variety of sources which more often than not conflict which each other and are probably less than updated. So please don’t take this information as absolute truths. Named after the location where it was built. This was the first malt whisky distillery in Japan. Built by Shinjiro and Masetaka together in 1924. The water is fetched from underground Mount Tennoh and is known to be very “hard”. They employ 12 stills of three different types and each produce a different spirit. The two low wine stills are heated by coal fire and the washbacks are now wooden again after being stainless steel in the past. The distillery has a very special look with pagoda roofs looking like blunt triangles. Atleast four different varieties of whiskies are distilled on a regular basis and other variants at times. Yamazaki is often called the most “Japanese” distillery when it comes to trying to define the style of the whisky. One fact that should not be neglected regarding this distillery is the 20 beautiful females that are employed by the distillery as tour guides. If this influences the perception of the whiskies I cannot tell as I have not yet visited the distillery (I’ll be sure to check with Ulf after his visit there later this year). They produce about 3.5 million liters per year. Meaning roughly “white place”. Built in the early seventies and opened production in 1973. Hakushu Higashi or Hakushu East was built in 1981. The location is 700 meters of sea level which is more than double that of the highest distillery in Scotland which is Dalwhinnie at 326 meters. It is located roughly three hours from the sea, which is two to three times more than for it’s Scottish colleagues. The water source is taken underground from Mount Kai-Komagatake and is the opposite of the Yamazaki water, meaning exceptionally “soft”. The both distilleries are now joined into one operation but was once completely separate. At one time it’s production was the worlds largest although that is probably not the case any longer. Hakushu had 24 stills of various shapes which produced a number of different styles, most if not all supplied for blending purposes. Hakushu East had 12 coal fired stills. It is unclear how many stills are in use today. Traditional materials seems to be in fashion here. They employ copper mash tuns and douglas fir is used for the washbacks, distillation over flame instead steam etc. The distillery is named after it’s location at Yoichi, Hokkaido at northern Japan. Founded there in 1934 by Masataka Taketsuru for it’s very Scottish like environment. Some claim the distillery is more Scottish looking than the Scottish distilleries themselves. They do their own malting once a year these days due to strict regulations. The rest of the barley is imported from Scotland. This is supposedly cheaper than to buy it locally produced. Interestingly enough the distillery used only one still in the beginning which must have made things quite interesting as they employed double distillation. They use four coal fired wash stills which is very unique, only Glendronach still use coal fired stills in Scotland and will probably not do so for much longer. Two spirit stills are used whereof one is the original from 1934. The modern one uses a condensor and the others use worm tubs. This distillery is considered the most “Scottish” distillery in Japan when it comes to style. Most often the whisky has clear peaty influence and is sometimes also found under the name of Hokkaido. About 2 million liters is output on a yearly basis. The distillery was built at Sendai 300km north of Tokyo and came online in 1969. It’s placed at the prefecture Miyagi. There are a number of other distilleries around Japan. Most notable Fuji-Gotemba run by another brewery company called Kirin. Another distillery currently operation is Karuizawa, owned by Mercian. This distillery was built in 1962 and is located west of the famous vacation town of Karuizawa. Also placed nearby a mount, namely Mount Asama which is in fact a volcano currently not in production though. Bottlings from here have a solid reputation but seldom, if ever, find their way outside of Japan. Hanyu (or Chichibu) distillery is unfortunately no longer producing malt whisky. However, parts of their stock remain and are bottled from time to time. Both independent (such as the one on your right from Full Proof Holland – famed not only for it’s label) and under the name of “Ichiros Malt”. Bottlings from here can be found outside of Japan and have a good reputation. To the closed distilleries section we also add the Shirakawa distillery which was run by Takara Shuzo who today runs the Tomatin distillery. Mars Shinshu started in the 50’s and probably closed in the 90’s and is supposed to have had a peaty character. I have myself not tasted enough bottlings to draw any clear conclusions but I am personally quite impressed with what I’ve found this far. Most of these land in the high eighties or low nineties if we’re to talk points. Generally speaking they produce stuff at least on par with the Scottish distilleries. No unimpressive feat I’d say. I tend to find them more often than not filled with interesting fruit character. And to me it is the exotic kind, such as apricots, melons, passion fruit and similar. Some claim that whisky in Japan age more quickly than in Scotland which could explain why there is often wood influence in the whisky in the form of just “oak”, but also cedartree and sandal wood. But seldom too much, unless it comes to the sherry casks which I think become quite extreme. Although not many would agree that is a bad thing though! Also some trace of smoke or peat can be find in them which makes them ever more hauntingly nice to me. Yamazaki 1984/2005 (56%, OB) – Almost black in color (very dark red). Nose is very dry, spicy, coffee, very special and woody/”rough”. Super winey, cardamom, cinnamon and cloves. Huge taste, roughness , almost grapes and slightly sour hops. Very lasting taste, but so dry and bitter it’s like drinking Fernet Branca. Too much for me, but again, surely lovely for the sherry nut. Yamazaki 1991/2005 (56%, OB) – Nose is very enjoyable with fruity sweetness, oily and a little buttery. Yamazaki 18yo (43%, OB) – Somewhat “slimey” and saturated nose. Overripe apple but opens up with time. Are there some tendrils of smoke below the fruit? Taste is dryer, stable-like, cereal, somewhat short. Enjoyable but not more. I think I had a bad nose day this day as I had this previously at 88pts, but at the awards I gave it only 79pts which is unfairly low. This one I definitely recommend. Yamazaki 25yo (43%, OB, 75cl) – A deep red color. Super surypy sweetness, raisin and dates. Also dry, derived from wood. Spicy. Taste is special, lots of wood influence, dry, bitter, slighty perfumy. To me over the top but surely something for the sherry sadomachochist. Too much for me! Nikka ‘Yoichi’ 15y (45%, OB) – Impressed me tremendously (90 pts.) but unfortunately not so when analyzing it for the awards. I granted it “only” 82 points. Undoubtedly a great malt regardless of what my confused mind thinks though! Nikka ‘Yoichi’ 1989/2005 (62%, OB, C#127032) – One of the best whiskies I sampled last year. Nikka ‘Yoichi’ 20yo (52%, OB) – Another beautiful expression with chocolates, toffee, some cardamom, raisin, figs, mature apples. Nikka ‘Miyagikyo’ 1987/2005 (62%, OB, C#89698) – Another very heavily sherried single casks. Nikka ‘Taketsuru’ 17yo (43%, OB) & Nikka ‘Taketsuru’ 21yo (43%, OB) – Scored at 91 pts. and 89 pts. respectively at the awards by yours truly. Wonderful stuff. Both with exotic fruits, exquisite vanilla and elegant wood influence. Hakushu 21yo 1982/2003 (60.7%, SMWS, ‘120.1’) – Filled with exotic fruit and spices (ginger! ), also slightly medicinal but very fruity and fresh. Taste wise buttery, wonderful oak influence and spices return. Real treat from SMWS this one, ninety material? Yes undoubtedly! Hakushu 18yo (43%, OB) – Quite dry, restrained elegant interesting fruits. Exotic ones, papaya, passion fruit, also citrus and lemon grass. Also slight hints of smoke? Fresh and nice. Tastewise very drinkable, the slight traces of smoke returns. Lime. Wood derived spices. Slightly bitter at the end indicating at some age. Leathery also at the very end. Pour me another one, please. 87 points. Hanyu 1988/2006 (56,3%, Full Proof Holland, Pancheon C#9204) – Beautiful fruity sweetness, some ginger, leather, vanilla spicy indeed. Traces of exotic fruit, wood and even a little smoke. Slightly peaty after water? Also some oranges. Tastewise it surprises being somewhat drier than anticipated on the tongue, tendrils of smoke, utterly delicious stuff. Buttery and butterscotch and toffee. Uah! 92 points and that’s cheap. Let’s join together in a prayer that they start to export more stuff so we can taste more from their excellent stills. As it is now the prices are because of small output prohibitive in Europe and that is indeed a pity. So. If you haven’t tried any of the nicer Japanese bottlings I’d suggest you pay a visit to a whisky fair close by and get your hands on a dram or two before they run out. Or try to find a bottle although that is not always the easiest task unfortunately.